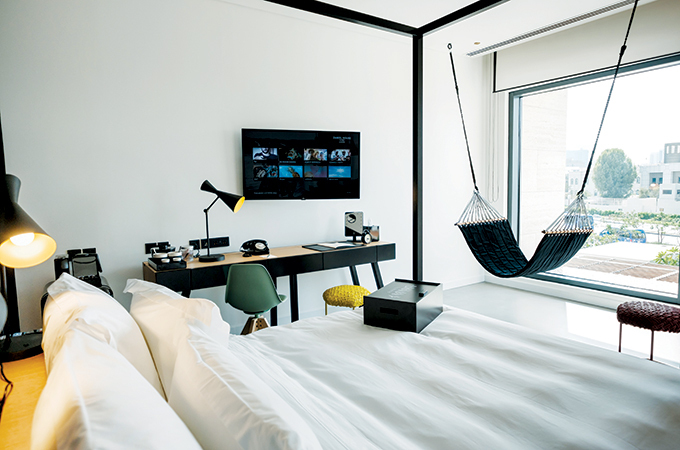 The second hotel in the Zabeel House by Jumeirah collection has opened, bringing a loft-style vibe to the south banks of Dubai Creek, next door to the earlier opened Zabeel House MINI by Jumeirah. Zabeel House by Jumeirah, Al Seef promises to be the stylish older sibling of its next-door neighbour, while still delivering on the collection’s ‘Upscale Casual’ promise of sharp design and smart service, with an informal approach and a moderate price point. With 200 rooms in 3 different sizes for solo travellers, couples or families; a welcoming vast lobby filled with a collection of contrasting art and design pieces and bookcases made for browsing; a destination restaurant that stretches out over the waters of Dubai Creek, and a rooftop bar and pool with views across both old and new Dubai, Zabeel House by Jumeirah, Al Seef provides a completely new experience in this part of the city. The hotel is a perfect hangout for curious travellers with an intrepid spirit, whether they want to stay always on, or go off the grid. The hotel’s offering two exciting dining concepts with an alfresco gastro restaurant Skafos reaching out over the waters of Dubai Creek, an ideal spot to watch the dhows and abras cruise past. Seven floors above, Sol Sky Bar sits on the brim of the rooftop pool with a cocktail menu to match the variety of panoramic views of the city, from the oldest wind towers of the Creek to the newest skyscrapers of Downtown Dubai. Zabeel House offers three room sizes (the Plush, the Popular and Suites) – all contemporary retreats made for rising above the city’s round-the-clock energy, mixing comfort with an edgy style. Featuring king-size (or twin) B&B Italia mattresses in the Plush and Suite rooms or Simmons mattresses in the popular rooms, oversized oak dining or work tables, minimalist wardrobe spaces, hammocks for lounging on when reading, contemporary art on the walls and ceilings inspired by Dubai and free-standing bathtubs for the ultimate soak – all complete with signature black SMEG mini bars, N’espresso machines and a SuitePad, perfect for ordering a late-night snack or making plans for tomorrow.